The Twisty Blunt Replacement Glass Tube is an unbranded replacement glass tube for use with the Twisty Glass Blunt smoking pipe. This unbranded version of the Twisty Glass Tube is compatible with 7Pipe's authentic Twisty Glass Blunt as well as the many other variations of the popular smoking pipe currently on the market. 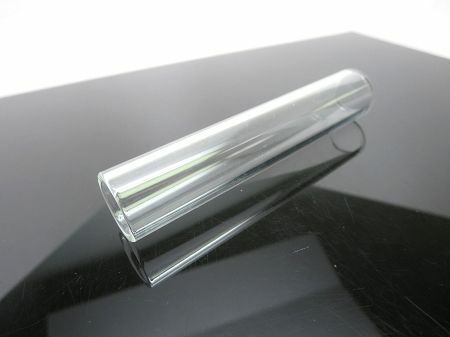 This item has been designed and tested to fit nearly any Twisty Glass Blunt on the market however if yours does not offer a proper fit we will accept returns if contacted within 24 hours of delivery and the glass tube is still in a new and unused condition. Constructed from a high quality 2mm thick glass, the Twisty Blunt Replacement Glass Tube is as durable as can be. However, like all other glass products the Twisty Tube is vulnerable to damage caused from drops and falls, any broken glass due to shipping must be reported within 24 hours of delivery with clear images showing the damage to warrant a return.